• The RB Waltman Ranch is 622.36± acres of grazing five miles northwest of Waltman, Wyoming. • The terrain is rolling, grass-covered hills with draws and intermittent streams. • The property’s carrying capacity is owner rated for at 40 pairs during spring, summer, or fall grazing. • Water is provided to livestock via several reservoirs on the property. Water table depth is reported to be 250′ to 300′ deep. • There are no improvements or utilities available on the property, however there is a power-line 250ft west of the property. • This property is contiguous with neighboring CARLSON WALTMAN RANCH, a 5,887.79± acre ranch to the east that is also for sale for $1,229,498. • Wildlife includes antelope, mule deer, grouse, and coyotes. Reach out to us and we will get right back to you. Add your phone # to receive a call back. 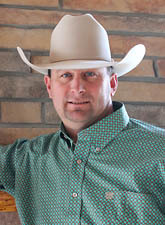 Real Estate Company Specializing in Farm, Ranch, Recreational, & Auction Properties.